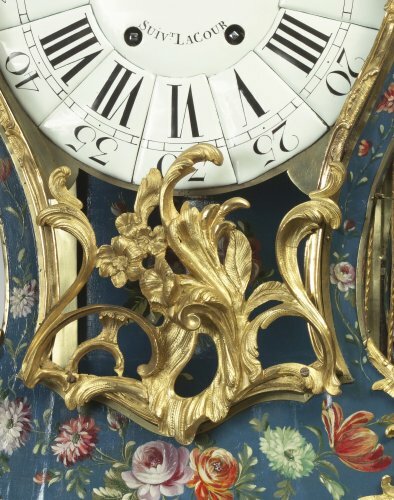 The reign of Louis XV marked the end of solemn and formal lines. However, masterpieces full of exuberance and fantasy were created instead. The framework is made out of oak, which is then usually plated with a thin sheet of pear wood. This is done so that the assembly of the two woods can be hidden, and the smoothest surface possible is achieved. Many different primers are applied to the veneer, which then creates a base that is ready for color and decoration to be put on it. 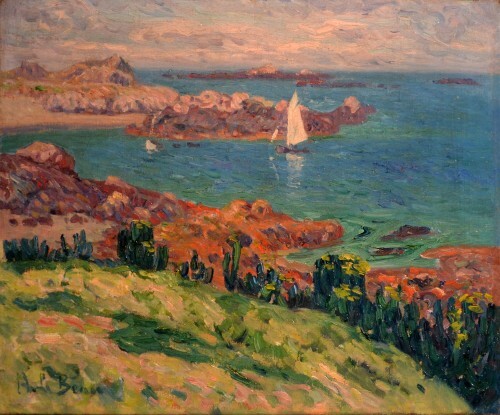 The painter starts with the background, where he paints flowers and other subjects. Finally, everything is covered in a coat of varnish. The varnish is called Martin varnish, and was created by the Martin brothers in 1730 as an imitation for Oriental lacquers. Even though the final product is splendid, it is still very fragile. 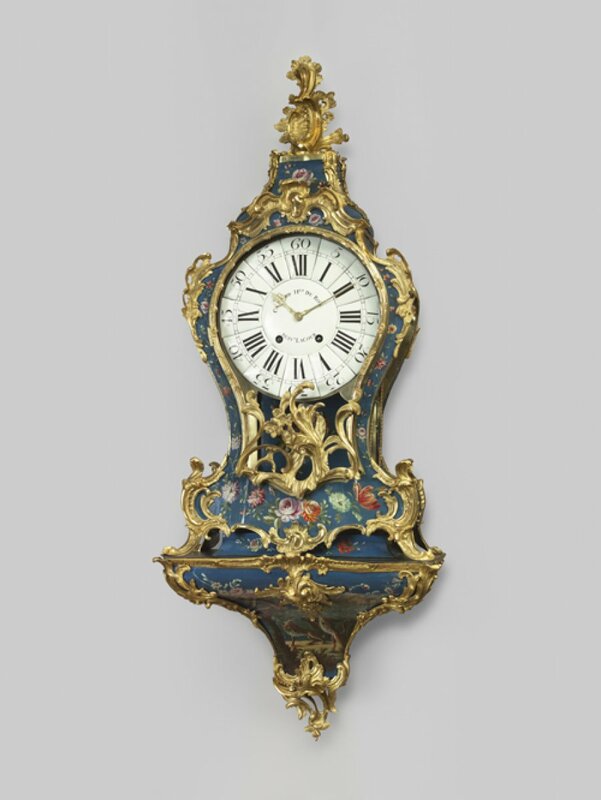 What makes this cartel clock so exceptional and full of character is the blue background. Yellow and blue backgrounds are a lot rarer because usually the background it is in green or red. The roses, carnations, and tulip decorations are very finely painted. 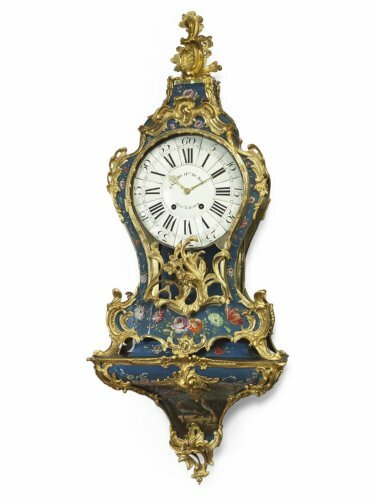 The cartel clock rests on a base that is ornamented with flowers as well as wild animals that come from The Fables of Jean de La Fontaine. The three exotic animals that are illustrated are a lion, a leopard, and a parrot. 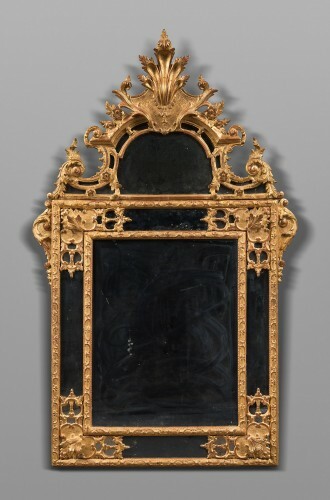 The bronze ornamentation that is finely chiseled and gilded is all original and inspired by Rocaille repertoire. The face of the clock has thirteen enamel sections that indicate the hours and minutes. 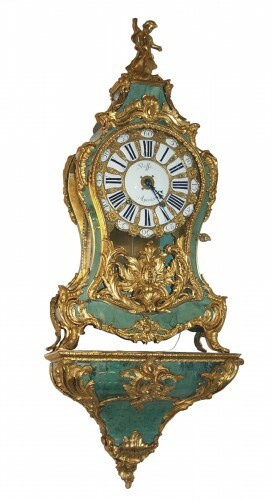 It is signed “Caussard Hr du Roy suivant la Cour” in the middle of the face. 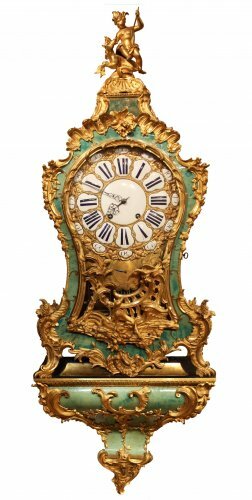 Edme Caussard is the master clockmaker who developed the mechanism for cartel clocks. He worked on rue Saint-Honoré in Paris, and had the title of horloger du Roi, suivant la Cour. This means that he was in charge of winding the watch of the king every morning. Also, he had the privilege of selling clocks in all of the countries the monarchy would visit. 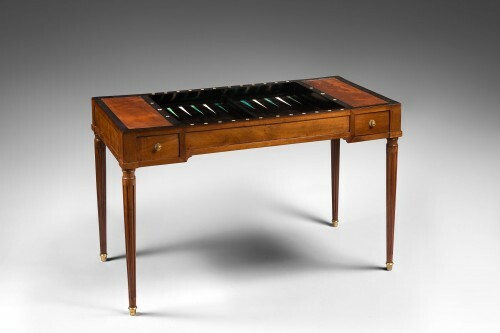 He is more than just a distant memory of what that time period was, but he is the testimony of the extravagance of the 18th century. 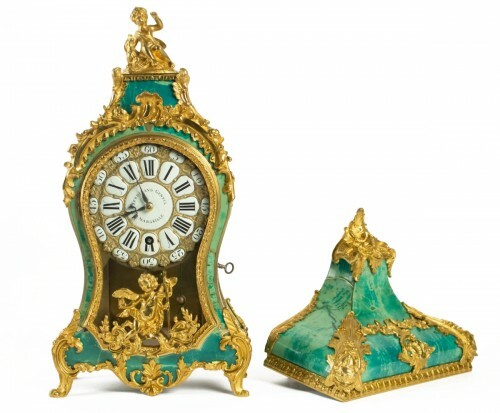 It was a time period where ornamental decoration was at the highest caliber. 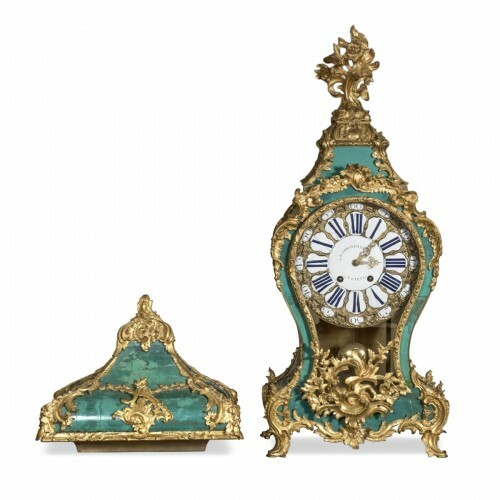 This is an exceptional timepiece: adorned with Martin varnish, an extremely rare blue color, and embellished with flower decoration and exotic animals that were inspired by The Fables of Jean de La Fontaine). 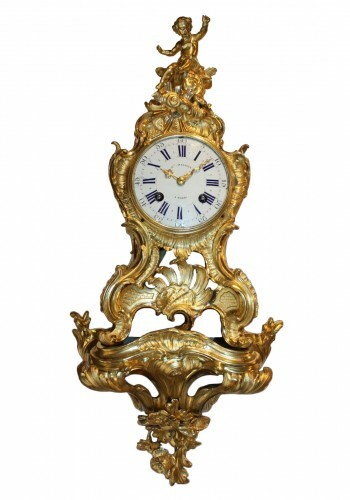 This cartel clock allows us to travel back to a time where beauty and quality were fundamental values.